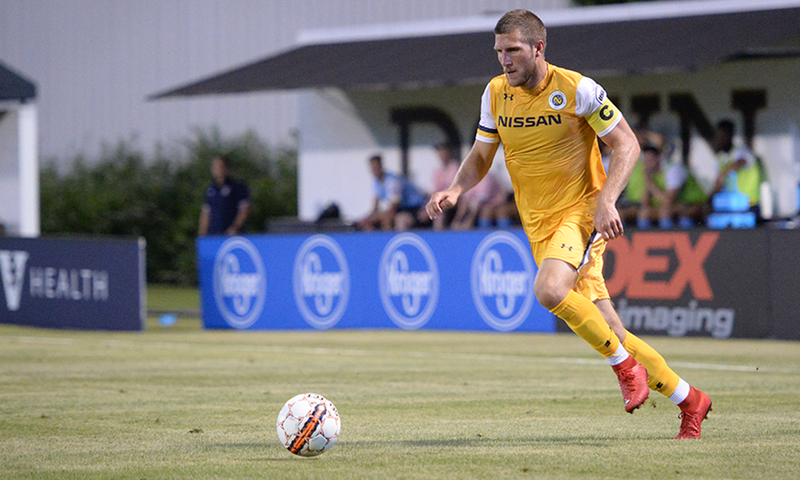 NASHVILLE – It took noted goal machine Brandon Allen just 19 minutes to score his first goal in a Nashville SC uniform as the hosts advanced past the 3rd round U.S. Open Cup tie 3-1 over Mississippi Brilla FC on Wednesday night at Vanderbilt Soccer Complex. London Woodberry and Robin Shroot also got onto the scoresheet for Nashville in the win. The Nashville newcomer, Allen, opened the scoring with his 33rd professional goal in three seasons, but his first in gold, in the ’19 minute. He took a penalty just five minutes later, but a spectacular save by the Brilla keeper kept it a one-goal game. 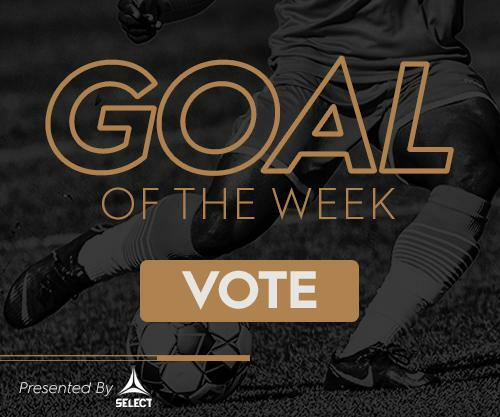 In the 30’ minute, Nashville scored from a free kick for its first set piece goal of the season, as Woodberry buried a 25-yard shot into the bottom corner of the net. In the second half, the Brilla came out on the front foot and after forcing a couple of saves from C.J Cochran, the PDL side finally got one past him in the ’59 minute off a cross into the box. It stayed a one-goal game until stoppage time when Robin Shroot finally got his first goal with the club to seal the deal. One game, one goal. Brandon Allen opened his account quickly for Nashville SC. Brought in to add some firepower in attack, Allen immediately showed why he is one of the most dangerous players in the USL. He slotted home a sitter in his 19th minute in a Nashville uniform to give the pro side a lead it wouldn’t relinquish. Nashville SC will await its fourth round U.S. Open Cup opponent, but it knows it will be a team from MLS. A draw will be held at 11 a.m. EST on Thursday morning to determine opponents. It’s highly likely Nashville will play an MLS side from the Southeast. It won’t be long before Nashville SC will take the field again as the club will switch back to USL play as it takes on Charleston Battery on the road on Saturday night at 6 p.m.